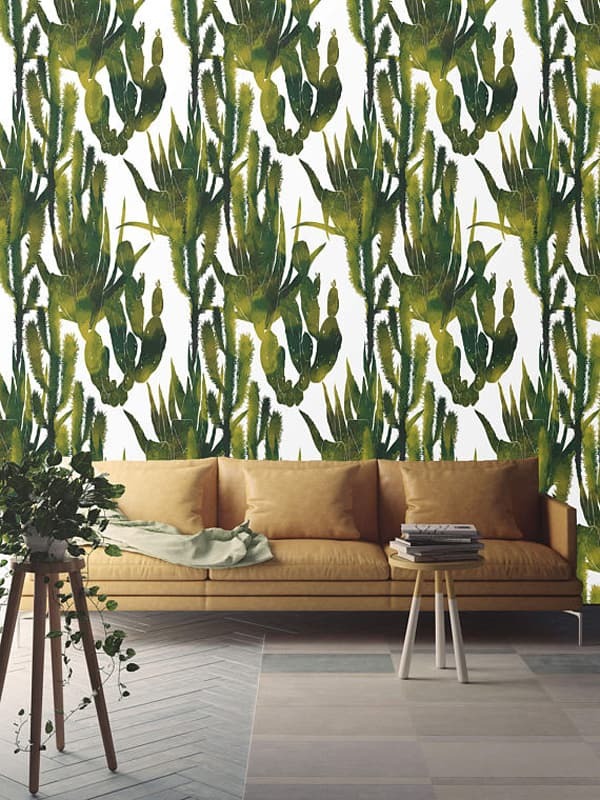 Oh me oh my oh, this cactus wallpaper is looking sharp! Are you looking for a way to dress up your boring walls? 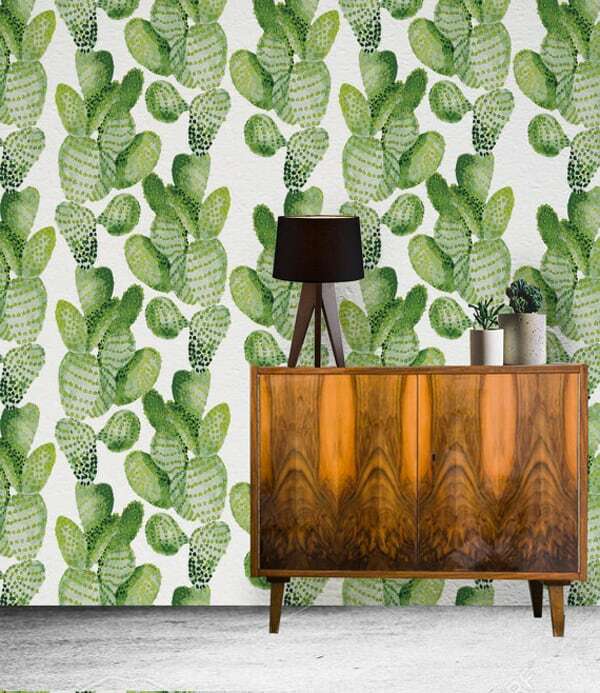 Cactus wallpaper is one way to make an impact. You can’t kill these plants, so it’s a perfect way to add some green to your home. It’s worth mentioning that many of these options are also removable, perfect for renters or people who don’t want to commit to anything longterm. 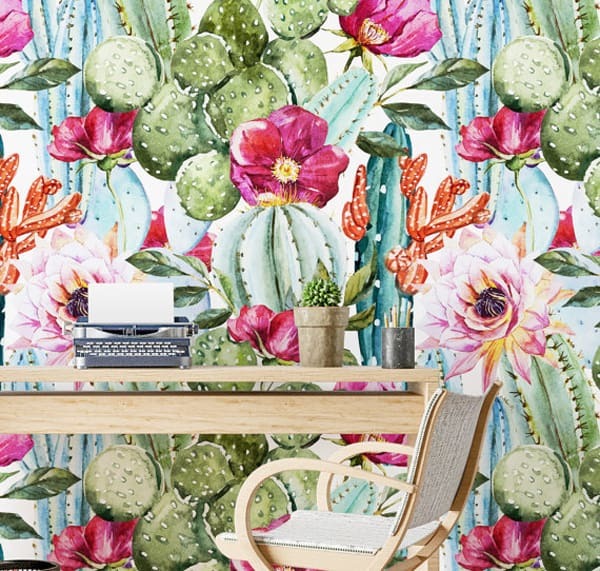 This watercolor cactus wallpaper from Nice Matches has an artsy vibe. 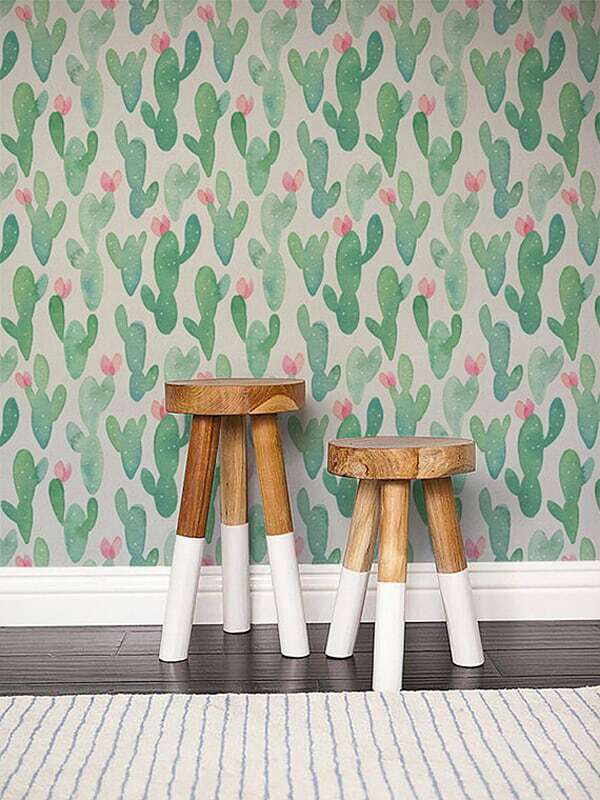 This blooming cactus paper from Betapet would look great in a little girls’ room. 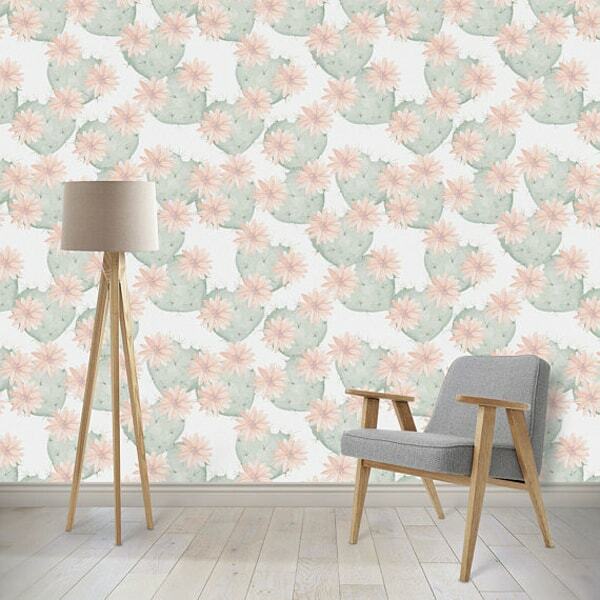 I can imagine a perfectly placed steer skull sitting on top of this bold watercolor wallpaper from Home Art Stickers. Cactus heart paper from Modified Tot is soft and whimsical. 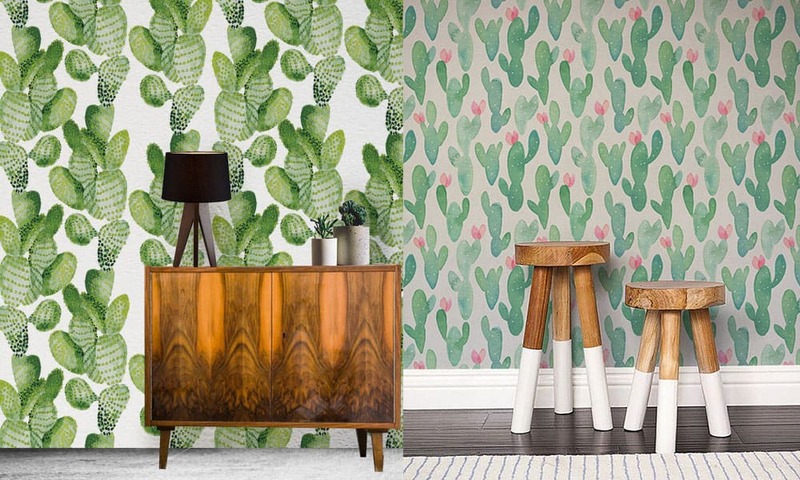 This eclectic cactus wallpaper from Wallpaper for Beginners looks wonderful paired with a leather sofa – just add in more western decor and you have such a fun space.